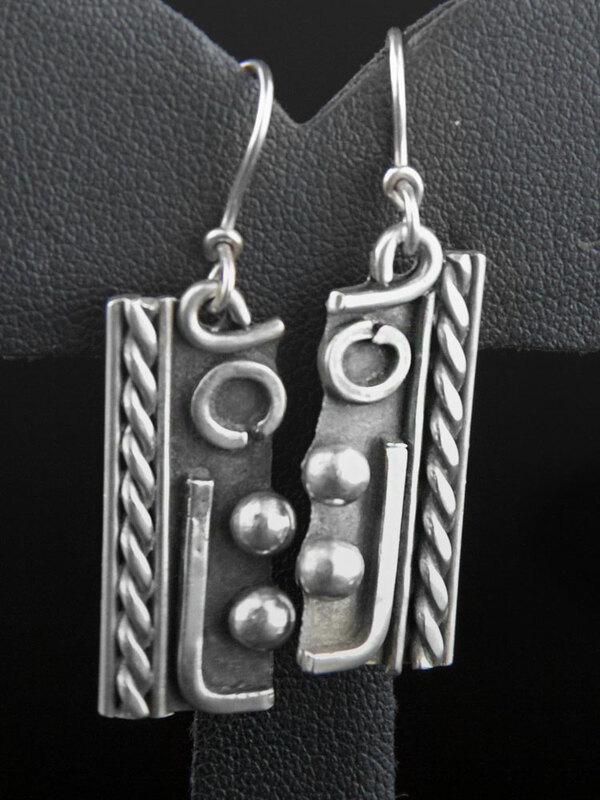 Amazing hand crafted modernist earrings. 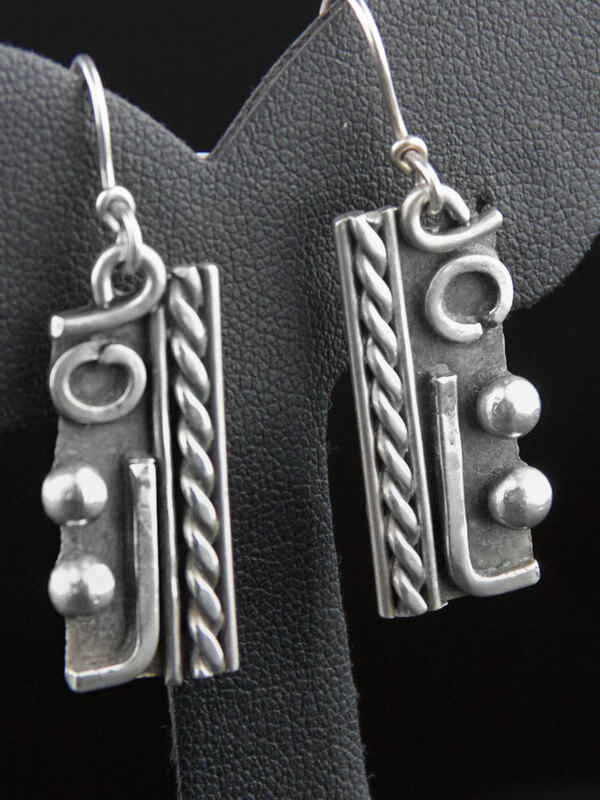 Rectangle earrings with rope and repoussé ball design. 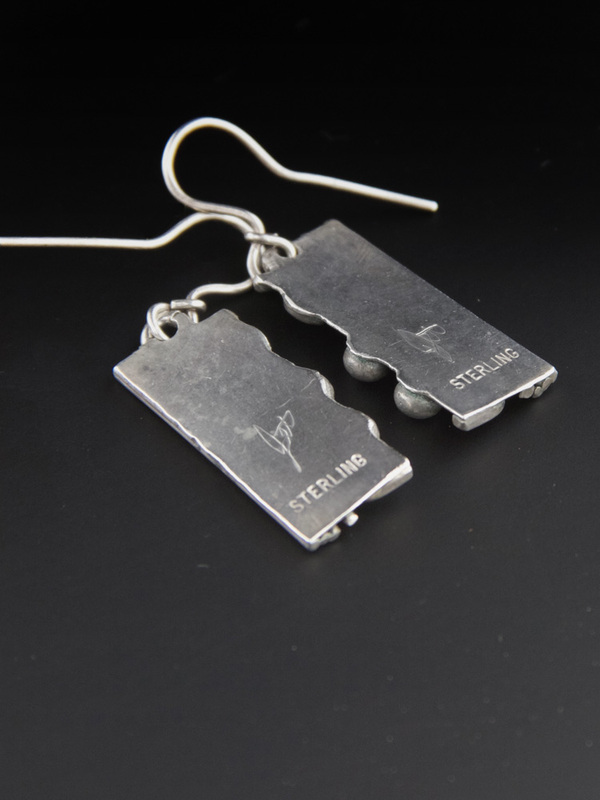 Hand made sterling wires - fantastic and unusual earrings.